This free, printable business plan can help nonprofit social services set a course for their organization's management to successfully manage, operate, and administer the service. 1. Set a course for the Organization's management to successfully manage, operate, and administer the business. 2. Inform financing sources of the capital requirements being requested by the Organization, in addition to its history, its projected future, and how the requested funding would give the Organization the ability to add value to the local economy, help people in need and put people back to work. [Company Name] is a 501(c)3 organization located in [COUNTY] County, [STATE]. The Organization was established in 2006 by its Founder/Executive Director [Name], who has 30 years of non-profit development and consulting experience. The Organization offers several social services to members of its community and plans to expand by providing food and clothing to low income and homeless members of [CITY], [STATE]. Beyond providing food and clothing to the needy members of [CITY], [STATE]; the Organization also plans to provide career services to the needy families in the area to help them acquire new life skills and ultimately gain employment. These services will include job training, referrals and job placement assistance; as well as educational services that will include self-improvement courses and GED training. [Company Name] also plans on improving the quality of life in [CITY], [STATE] by repairing dilapidated dwellings and converting them into housing for low income persons, battered women, abused children and the elderly. Moreover the Organization plans on expanding this housing program to include the construction of new low-income dwellings. It will also use those construction projects as a tool to employ individuals who attend its educational programs or utilize its career services. The Organization hopes to fund these programs through grants and other donated revenue. [Company Name]'s target market strategy is based on becoming a destination for people in the [CITY], [STATE] area in need of the Organization's family, health, educational and career social services. The Organization will also rely on the support of businesses and residents in the community to help with funding and donations so that [Company Name] can continue to impact its community. The people that seek the Organization's assistance desire quality services, and it's [Company Name]'s duty to deliver on their expectations. 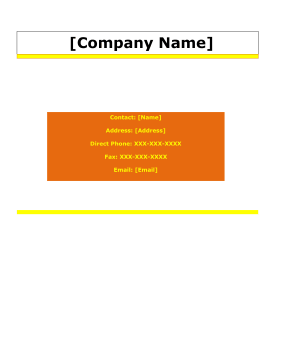 In addition to diligently following this Business Plan to maintain the safeguards for successful business operations and achieve the financial projections herein, the current financial plan of [Company Name] includes obtaining funding through one of many financing programs in the amount of $5,000,000. The Organization hopes to secure the requested funds sometime in the third or fourth quarter of 2011. It will use the funding to cover expansion; cover research and development; purchase property; build youth sports; provide well-needed services for women, men and youth; as well as to cover the salary expenses and operation capital. The Organization's funding forecast is projected to increase during the next three years, from $74,140 to $125,111. 4. Hire employees; the Organization will look to hire veterans, minorities and the unemployed. 1. Secure sufficient funding to grow the Organization. 2. Service the community with business, medical, educational, and social services. 3. Develop a strong Board of Trustees that can offer guidance and help with fundraising efforts. The mission of [Company Name] is to improve the quality of life in the [CITY], [STATE] area by providing business, medical, educational, and social services to people in need as well as provide opportunities for career building and training.